Lalit Modi’s hands reveal that he is a proud and ambitious person who has a strong desire for power. When power-hungry people possess leadership qualities the outcome is usually a good one. But when the hunger for power is not accompanied by leadership qualities it can lead to disaster. selfishness and coldness are a dominant feature of his personality. His thumb also shows good willpower but this is not a good sign at all because such people can do great harm due to their strong will. All qualities and abilities will be used to further selfish ends. Unfortunately, the Mount of Venus on Modi's hands is also poor, and tell us of an innate coldness of nature. A person with the signs mentioned above will not care about people and will use them for his own ends. Shrewdness and a highly developed manipulative ability is clearly shown by the shape of the Jupiter finger. All his moves will be planned carefully, all with one end in mind: his own rise. It is interesting to note that Modi's Jupiter and Apollo fingers are almost the same length as his Saturn. This is one of the worst signs that a person can have as it shows an imbalance of personality, a lack of sufficient gravity. It tells us that the balance wheel is missing, that judgment, caution and prudence is present only in limited amounts. It also tells us that the strong desire for fame and power will override the person’s sense of judgment and caution. That pride will easily become arrogance. The way he holds his fingers adds to the reading that prudence is not one of his virtues. His thumb also shows unresponsiveness to people. It speaks of a person who is difficult to approach, narrow in his thinking, lacking in sympathy, and also secretive. It can be difficult for such people to see another point of view. Modi’s hands show a sense of discipline, evident in the shape of his fingers and third phalanges. Even though his headline does not show a high intelligence, his Mount of Moon and fingers show that he has original ideas and a novel approach to issues. He has the ability to think and plan. His Mercury finger tells us of his power of expression and mental agility. His strong Apollo finger and its first and second phalanges reveal a brilliancy of temperament, quickness, charm and a high degree of ability. Related Reading: Sreeshanth's Folly or Oscar Pistorius. Read about sports stars from around the world (Football, Tennis and Cricket stars) like Rafael Nadal, or Roger Federer or Sachin Tendulkar, Virat Kohli. Interesting analysis Nita! I guess you should become a consultant for big companies before they hire someone...LOL. Are you sure about his strong will though...He seems to be a smoker (may be he his just marketing the cigratte brand for the Tobacco company he is associated with) and I read somewhere that he has criminal conviction posessing and selling narcotic drugs. Perhaps he uses his will to control others more than he uses for self-development. You said it Kannan! :) I really think that organisations should pay some attention to the person's hand. Unfortunately there are too many palmists who lack the ability to read hands accurately and it is the palmist who markets himself/herself best who will get on the corporate roll! And ofcourse mess it all up and ensure that corporates keep away from all palmists! :) Anyway I am writing a book which will be ready in a year or so, and anyone with that book will be able to use it and make accurate judgments. About Modi, well, smoking can be a hard habit to kick. It all depends on one's motivation. One of the strongest signs on his hand is the lack of wisdom and prudence and sufficient gravity of personality, and these qualities lead a person to dabble in many things without thinking of consequences. I am not at all surprised that he was into drugs and a wild life. This fits perfectly with the signs on his hand. But this does not mean that he will not be able to step back when he wants to. Excellent analysis Nita..Does his palm also say anything about him being true at heart despite all the brashness and coldness that you have described? I've felt he is being a scapegoat in all the scandal that has followed IPL..
Anand, knowing the politics of our country I too believe that he is being made a scapegoat. Sharad Pawar is probably more guilty! At least Modi created something. I feel the evil guy here is Sharad Pawar. As to whether Modi's hands show that he has some integrity, well, his hands certainly do not tell us that he is straightforward. But they do tell us that he is very able and fairly competent. So in that sense he is true. He has some kind of talent alright and he wants to do a job well. I doubt whether Sharad Pawar has this quality. But whether Modi did a good job or not becomes irrelevant if he did some dubious things alongwith it. I think finally he might be saved (although not reinstated) because otherwise he will drag Pawar down with him. So in a way I think Modi should count himself lucky because in any other country he would be in prison. So would Pawar actually. Hey thats great that you are coming out with a book! I am sure it will be a big hit! I will definitely get one for my younger sister, who like palmistry. Yes, inspite of his brashness, it does seem like there is something fishy going on in IPL, and that he (Modi) might have been made a scape goat. But as they say-- birds of feather, flock to gather. Politics and powergame attracts people who are into that as well. Kannan, In a way its true that he is being made a scapegoat because others are guilty too. Modi is equally guilty however. His basic nature is that of an autocrat and such people are never anybody's puppets. Nice to see this website of yours being frequently updated - And nice to see the passion you have for reading hands. But don't you think it is sometimes difficult to read hands through photo's taken by media etc? Your other blog was a phenomenon!! I think you should consider updating it atleast once a month! But I am also not updating my personal blog as I don't have much time now. All the best in this and all your future ventures... do consider self-hosted wordpress edition - its great!! Thanks DI and good to see you here. Most of my readers are not from my other blog and I guess that's because this is such a different topic. As for palmistry, it is more than a passion for me. It is a part-time profession which I enjoy very much. And yes it is difficult to read hands from the web pictures but I only do it if I see the shape of the hands and fingers. 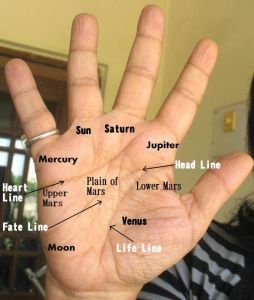 In palmistry the shape of the hand and fingers is more important than the lines, although if I have the lines it gives a more comprehensive picture. In my book I intend to explain it properly. In the readings here I only give a hint as to how I reached the conclusions. The real thing I have reserved for my book. About self hosted wordpress I think blogger is a different experience. No complaints so far. Posting is easier here although the designs etc are not that great. I do miss my old blog but I doubt whether people realised the effort I put into it. I do plan to go back but I think once in a month is too little. When I go back I will post every 10 days or so. But before that I need to complete two of my books, one of palmistry and the other a novel. Hi its nice to see the case studies.. if possible please post the case study of sonia Ghandi.. and i am still confused which hand to study right or left.. for example my right hand lines are strong but my left hand lines are not clear that too my left hand fate line is short and broken and not clear while my right hand fate line is strong and clear and not broken any where.. i am puzzled. Any ways thanks for this post. but when it comes to case studies, in the sense of details as to how I reached the conclusions, these I will be publishing in a book and not on this blog. The writing hand reflects one's current state of mind, and the left non-writing the past. Dear Nitaji , What will be the name of your book and How can I buy it online? Shivam, I have not yet published the book. I am collating a lot of research I have done, and it is going to be some more years before I publish it.